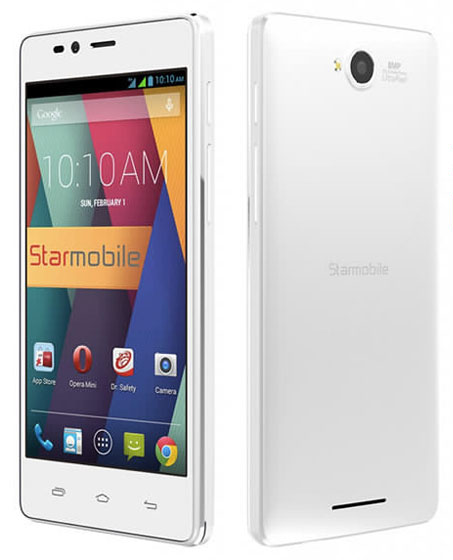 Starmobile Up Snap is another addition to the popular Up series from the local smartphone brand. The phone sports a 5-inch FWVGA display, same with the Starmobile UP, and runs on a Broadcomm quad-core processor that is clocked at 1.2GHz. The speedy processor is coupled by a gigabyte of RAM to run things smoothly. The new handheld will not be tagged as Starmobile Up Snap if not for its commendable cameras. The device boasts of an 8MP main camera with Ultrapixels tech, the same camera tech found in HTC One, that is known to improve image quality better than ordinary cameras. On the front, is an improved 5MP camera that can give you nice quality selfie snaps. Memory-wise, it has built-in memory of 8GB across the board which may tend to be a conservative storage considering that this device is marketed to be camera-centric; good thing there is an expansion option of up to 32GB where you can store more photos, videos and apps. The phone is treated with Android KitKat out-of-the-box and will have 2900mAh battery to power your device. There's no word about the price yet but ballpark figure is more or less Php 8000.